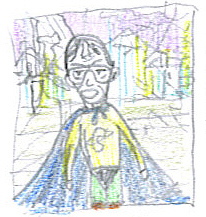 Cliff of Albion – Commander of the Cosmic Squad – outside his laboratory at high mountain HQ in hidden underground city of Golgonooza. 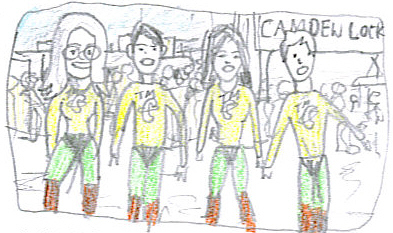 Four of Addingcombe’s superheroes – The Invincibles – Elaine Clark, Dylan Wilson, Becky Swaffer and Peter Piggott visit Camden Lock. You are currently browsing the Addingcombe blog archives for April, 2008.